This JUST IN from ACT of Connecticut! 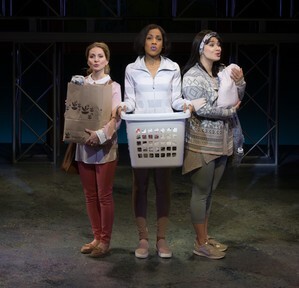 Due to incredible demand, ACT of Connecticut (A Contemporary Theatre) just added one more performance of WORKING. It will be Sunday, March 3rd at 7 pm! WORKING is the extraordinary musical from Grammy and Academy Award winner Stephen Schwartz (WICKED) based on Studs Terkel’s best-selling book of interviews with the American workforce. This highly original and universal portrait of the American workday is told from the perspective of those that the world so often overlooks – the school teacher, the housewife, the fireman, and the waitress amongst many – whose daily grind and aspirations reflect the truths of the people that make up a nation. This world-premiere version of WORKING features new music by Lin-Manuel Miranda (HAMILTON) with additional contributions by Daniel C. Levine. Our world-premiere version of WORKING is the reimagined, multimedia brainchild of Artistic Director, Daniel C. Levine. 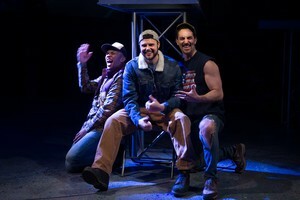 Enthusiastically approved by Stephen Schwartz, this adaptation weaves contemporary stories of local workers into the enduring musical score, blending high-tech media displays into the production and making it a one-of-a-kind theatrical experience exclusive to our ACT of CT community.